fluctuating resource pricing, dynamic and often unpredictable resource fields and projects that need to be managed through the entire lifecycle. Controlling costs across exploration, construction and operation all they way through to retirement, is a challenge, but one that needs to be met to remain competitive and profitable. …while maintaining the ability to scale up and down, as necessary. Hundreds of mining, oil and gas companies use Pronto Xi ERP software to: increase production with powerful demand and resource planning; boost reliability with predictive and condition-based maintenance monitoring; deliver clarity with accurate financial and operational reporting for reconciliation – all while supporting decision making with Business Intelligence insights and KPIs. Identifying the right time to invest in new equipment, ship materials and explore the resource fields is critical. To make the right decisions, you need clear visibility of the business and market, as well as accurate demand forecasting. Downtime is costly for the mining industry, but this can be minimised with effective asset management. Mining is not just about the materials being unearthed – an organisation depends just as much on its people. Pronto Xi will help you fully manage your human assets. Create staff profiles that include award rates, relevant licenses and skills amongst other critical factors, to ensure you have the right people doing the right jobs. Proactively manage all assets no matter their status or location, to ensure productivity is maximised. Know when to invest, know when to hold off. Allow everyone in the business to understand your business better with visibility of the data that matters to them. The mining industry is ruled by efficiency. The organisations that can extract, process, and deliver materials with the least amount of waste stand to be the most profitable. 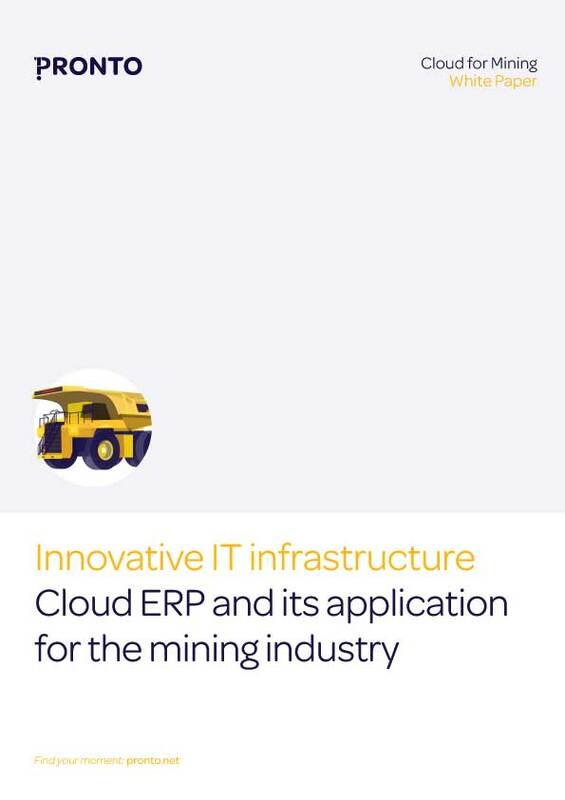 With vast footprints in remote locations, diverse labour forces, and long term projects, miners require an Enterprise Resource Planning (ERP) solution that is specific, adaptable and complementary to the way modern mining is done.